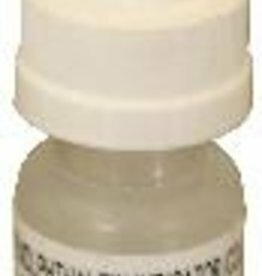 DRY PECTIC ENZYME, 1 LB. 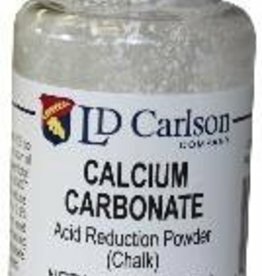 LD Carlson Citric Acid Wine Additive - 2 oz. Citric Acid increase acidity by 0.1% for every 1 teaspoon per gallon. Acid found in lemons and other citrus fruit; sometimes added to wine or must. 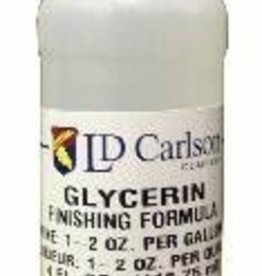 Prevents oxidation; use 1 teaspoon per 5 gallons at bottling. Add teaspoon per gallon of wine must to stimulate fermentation. 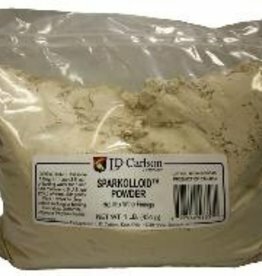 Contains Diammonium phosphate, yeast hulls, magnesium sulphate, and Vitamin B Complex. 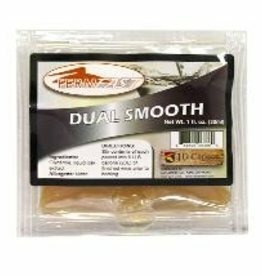 Dry form of premium Slovakian wine tannin from the heart of the European/Spanish Chestnut tree. 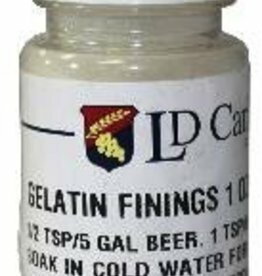 Use tsp/gal for white or ros wine must; 1/3 tsp/gal for red wine must; tsp/gal for fruit wine must. 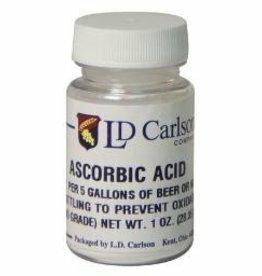 Lowers acidity in wine. 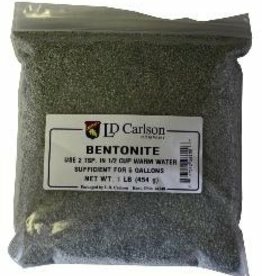 Use 5/8 teaspoon per gallon to lower acidity 0.15%. 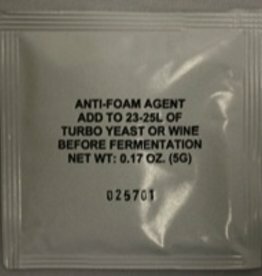 Use before fermentation. 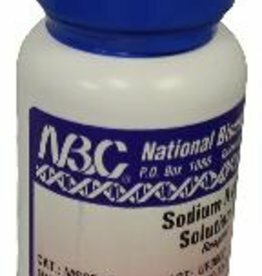 Do not reduce acid more than 0.30%. 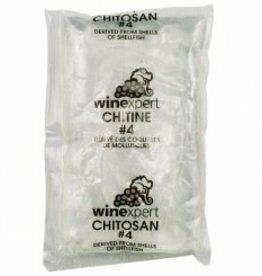 When used in combination with isinglass or bentonite, Chitosan is very effective at settling yeast, fruit particles, and other haze-causing solids. 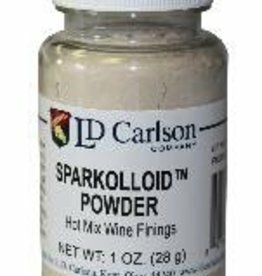 Excellent for white wines as it doesn't require tannin to flocculate. 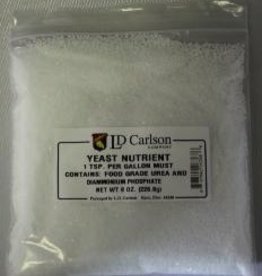 Yeast Nutrient - (Use 1 teaspoon per gallon) Helps yeast stay active during fermentation. 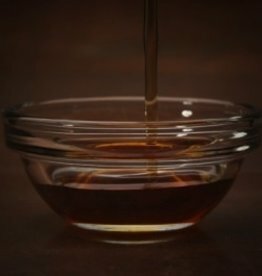 1 tsp/gallon. 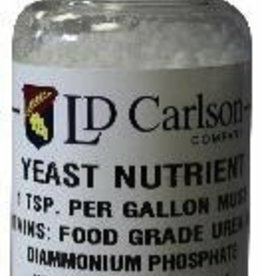 LD Carlson Tartaric Acid Wine Additive - 2 oz. 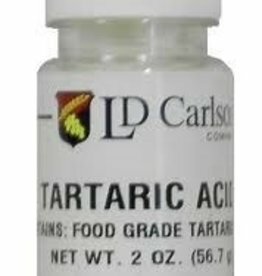 Tartaric Acid increase acidity by 0.1% for every 1 teaspoon per gallon. 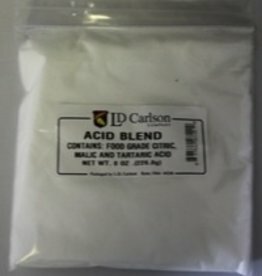 This acid is predominantly found in grapes.